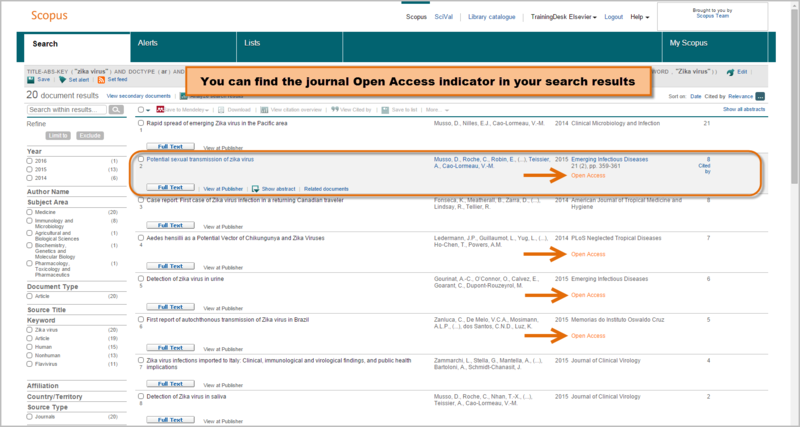 A note about ‘Lists’ in Scopus: you can add items to a temporary list by clicking on ‘Add to list’ from your search results, and then view your list by clicking on ‘Lists’ in the main navigation bar. However, if you have registered in Scopus and are logged in, you can build saved lists and group items into specific categories. Click on ‘Save to list’ in the results page, and select a saved list to add to, or create a new list. 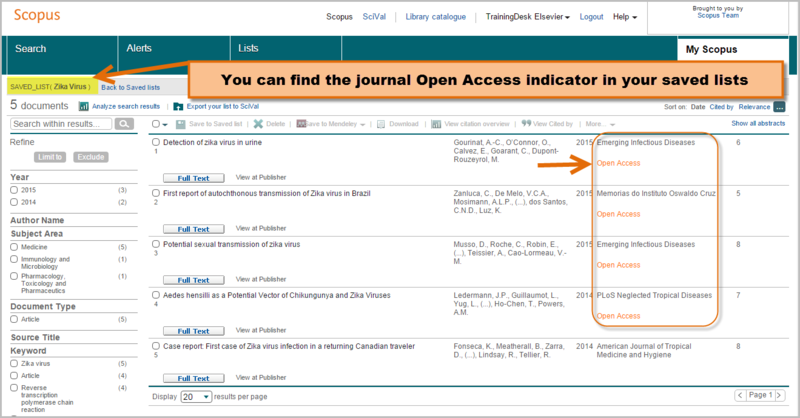 Content from open access titles will appear in both saved and temporary lists. 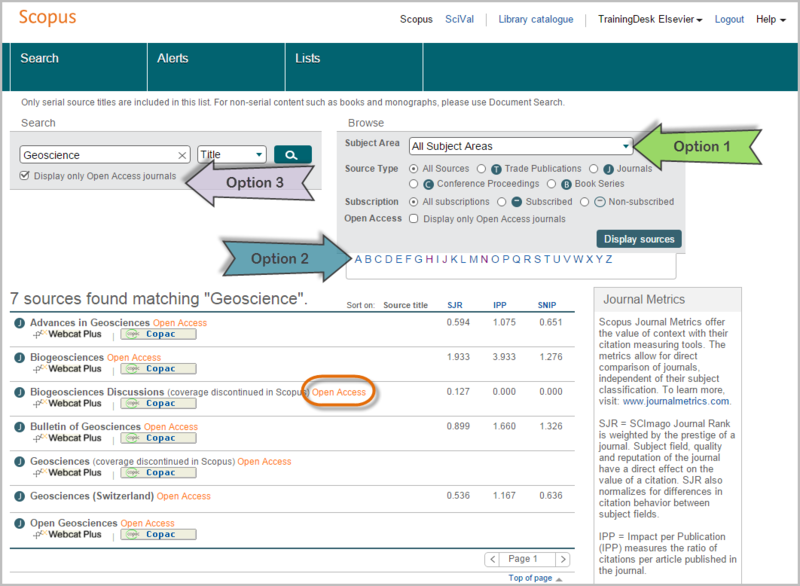 You can learn more about personalization in Scopus and managing saved lists in this tip & trick. 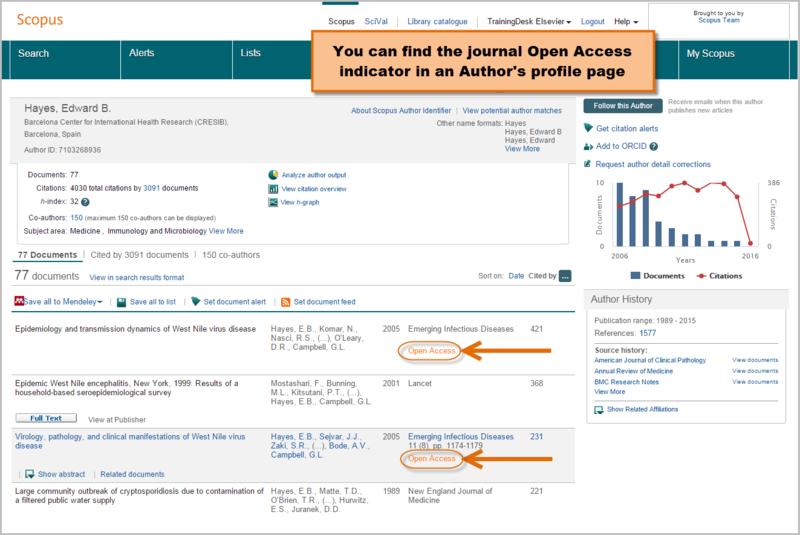 To learn how to search for open access from 'Browse sources' in Scopus, follow the updated instructions below.